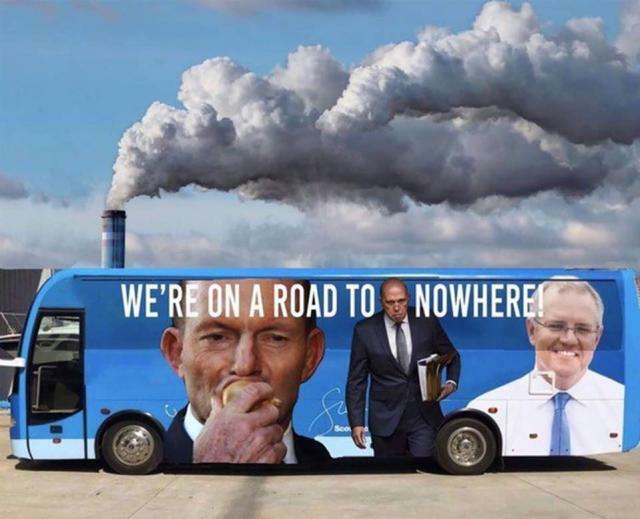 The close link between Australia’s major coal lobby and the prime minister’s office under the Coalition government runs ever deeper, whoever the leader is at the time. The chief of staff of new prime minister Scott Morisson is John Kunkel, the former deputy CEO of the Minerals Council of Australia, the same group that thoughtfully provided a lacquered lump of coal for the then Treasurer to wave around parliament in February last year in the middle of a drought. Morrison was obviously impressed, and has appointed one of the country’s leading anti-wind campaigns as his new energy minister, splitting the portfolio from environment. The new environment minister is a former lawyer for a mining company. 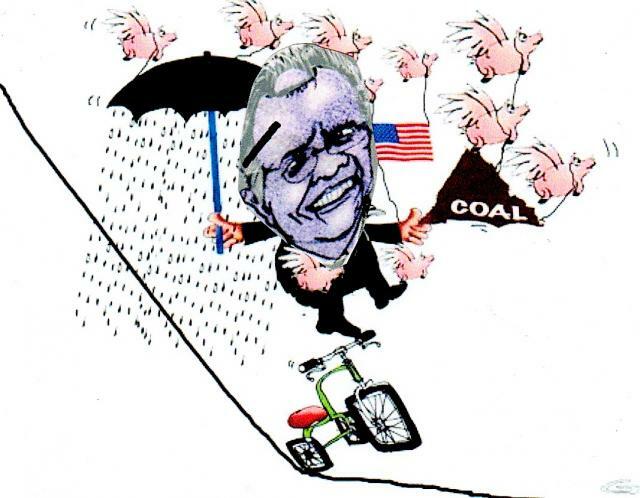 Kunkel served as deputy CEO of the Minerals Council for 6 years and four months before spending two years as head of government affairs (a political lobbying position) for the country’s biggest coal producers, Rio Tinto. Kunkel is a recent addition to the team, joining then Treasurer Morrison’s office in June this year. Kunkel’s key role continues the close connection and the merry-go-round of advisors between the Minerals Council and key policy advisory positions in the Coalition government. One of Malcolm Turnbull’s key advisors as prime minister was Sid Marris, who was a former policy officer at the Minerals Council. The man who replaced him as head of environment and climate policy at the Minerals Council is Patrick Gibbons, who was the former advisor to then environment minister Greg Hunt, who made a run as deputy to failed leadership candidate Peter Dutton and got knocked out by his good fried Josh Frydenberg, now deputy leader and Treasurer. THE AUSTRALIAN continues to publish rubbish about global warming. This is despite the fact that, its then-editor, Chris Mitchell, said eight years ago: "for several years the paper has accepted man-made climate change as fact". But last week, the paper gave columnist Michael Asten more than 400 square centimetres for an article of well over 900 words to argue there are massive divisions about the science. But he did allege there is doubt about the 'relative contribution of natural variations and anthropogenic [man-made]' causes to climate change. There’s no doubt at all in the latest Intergovernmental Panel on Climate Change (IPCC) report. Any doubt in the scientific community comes from a minute but vocal minority in the same way that there are still scientists and “experts” who speak out against action to stop smoking. The level of doubt cited by Asten could also be compared with the small number of anti-vaxxerswho, despite all the evidence of the efficacy and safety of vaccinations, have convinced the Italian Government to drop mandatory vaccinations for children entering school. And on the topic of doubters and minorities, there are even the members of the Flat Earth Society. But there is no doubt among nearly 200 of the world’s scientific organisations. They all hold the view that climate change has been caused by human activity. 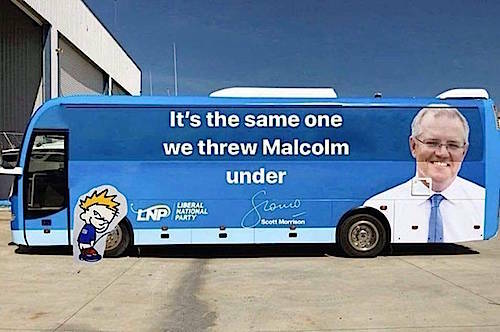 I was going to write a piece of my mind about the budget cut to Foodbank... Did not have time to place pen to paper... Gold Coast pie-eater Scummo did a 180 degree turn around... What a dork. Nothing wrong with the backflip, but everything is wrong first as to why he thought of "dividing" the government relief budget... Does he has mates in the other organisations that feed the hungry? Was he advised by someone who does? What was this all about? Foodbank is feeding a lot of people (more than any other organisation) that are below the poverty line. It has a well-oiled supply chain and distribution network. Why try to destroy this organisation? OR WAS IT ANOTHER ADVERTISING GIMMICK TO PROMOTE HIS "LISTENING" EARS TO THE DUMB POPULACE? "I have listened and decided to increase the food relief budget ...."